Some expectant moms and dads love traditional baby names. Other parents-to-be are looking for names that are a bit more unusual for their baby boys or girls. 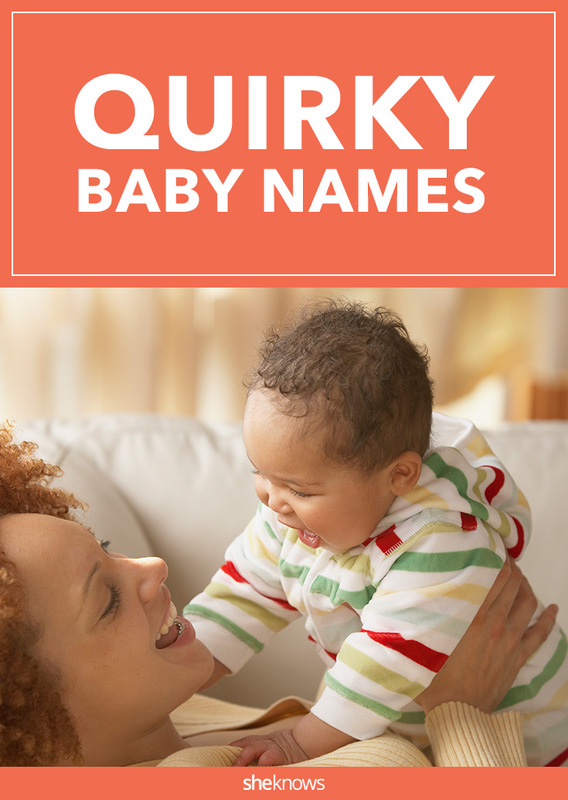 These baby names are on the quirky side — funky enough for those seeking uncommon names, but not so weird you’ll get a ton of side eye. These quirky boy names are unusual, but they’re cool to the max at the same time. We looked at all sorts of monikers to create this list, from modern names like Knox to classic names that don’t get a lot of action like Elgin and Winston. Throw in a few uncommon names like Lonzo, a few names from around the world like Nils, and a few word-type names like Worth and you’re good to go. These baby girl names are just plain awesome. We included quite a few nature names — not the more common ones like Rose or Summer, but ones that are used a little less frequently. Clover is a definite favorite. We also included a few names inspired by literature, such as Éowyn and Arwen from Lord of the Rings, and a few classic old-timey names that haven’t moved much up the popularity charts in recent years, like Cleo and Nora. If you’re looking for a name that is just quirky enough to be cool without being too “celeb,” you’ve come to the right place.